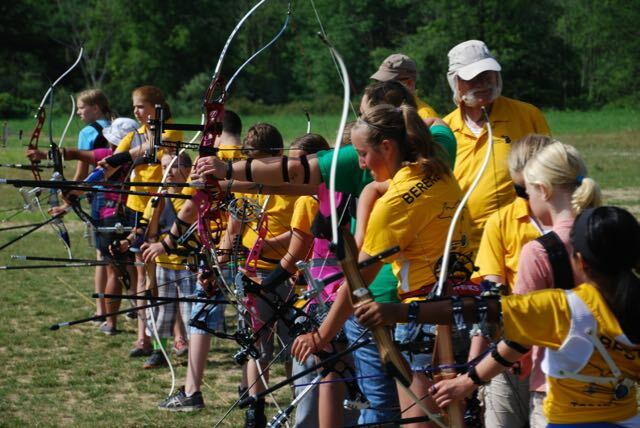 The West Michigan Archery Center in Rockford opened in 2014. 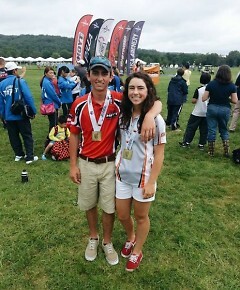 Siblings Chris and Emily Bee of Hartland are on the MSU Archery Team and compete worldwide. What happens Friday nights at the West Michigan Archery Center stays at the West Michigan Archery Center. "One of our most popular archery leagues is a women's-only group on Friday nights with upwards of two dozen women at one time, said Josh Zuiderveen, president of the center, 3500 10 Mile Road in Rockford. "They essentially lock the doors and don't let any of us in – and they have a great time shooting." "The Michigan Department of Natural Resources, conservation clubs, parks and recreation centers, and schools are doing their part every day to foster a love of the outdoors," said Matt Pedigo, chairman of the Michigan Wildlife Council, which is in the midst of a campaign to educate the public about the importance of conserving and managing our forests, waters and wildlife. "It's always a good time to get outside and experience all that Michigan offers – whether it's archery, hiking, hunting or fishing." According to a new study commissioned by the Archery Trade Association, archery participation in the United States skyrocketed nearly 26 percent from 2012 to 2015, boosting the number of archers to 23.8 million, and more and more of those archers are women and girls. Hollywood – with movies such as "The Hunger Games" trilogy and Disney's "Brave" – has played a huge role in archery's surge in popularity, especially among women and teens. But that growth could not have happened without grassroots programs allowing people the chance to try the sport. "This is due in part to the National Archery in the Schools Program introducing millions of kids to the fun of target archery in a school, said Mark Copeland, vice chairman of the Archery Trade Association Board of Directors and store manager of Jay's Sporting Goods in Gaylord. "Compound that with what USA Archery is doing with clubs around the country providing Explore Archery and [Junior Olympic Archery Development]." "If we didn't have these kinds of programs and ranges for people to try archery, it'd be like Detroit kicking out cars with no freeways to drive them on." In Michigan, 620 schools have adopted the National Archery in the Schools Program, designed to introduce target archery in 4th through 12th grade physical education classes. The DNR offers 50/50 matching grants for equipment and free basic archery certification for teachers. "Our goal with programs like Archery in the Schools, community archery and Explore Bowhunting is to get our young people away from the computers and the cell phones and get them active," said Kathy Garland, archery education coordinator for the Michigan DNR. "Archery is for everyone and is a lifelong skill they can grow old with." Headquartered in Colorado Springs, Colo., USA Archery is the organization that selects and trains the men's and women's teams to represent the U.S. in Olympic Games, Paralympic Games and Pan American Games. While other sports organizations are scrambling for ways to grow, USA Archery has seen a 550 percent increase in membership since 2010, said Mary Emmons, USA Archery outreach director. "Archery is an equal playing field among men and women, boys and girls," Emmons said. "It can be recreational or competitive, an individual or team sport. You can also compete as a family. And it's ageless; you can shoot from 8 years old to 70." At the West Michigan Archery Center, located in Plainfield Premier Park about 15 miles northeast of Grand Rapids, business is booming. The 10,000-square-foot, Olympic-style indoor range opened in 2014 and features classes, leagues, tournaments and Junior Olympic Archery Development (JOAD) club training. "Before this facility was built, there were just a handful of coaches and a bunch of kids they trained shooting at a banquet hall at the Rockford Sportsman's Club and they were able to create national champions there," Zuiderveen said. "That's how we knew the group had the goods to take the next step and build a facility." "Today we train a bunch of elite archers, but also people who want to learn to shoot and just have fun." Michigan State University Archery Club Coach Glen Bennett said he's seen a big jump in female archers in recent years. "A lot of archery companies are making bows that are made to fit women and that's had a big effect on more women getting into shooting," he said. Bennett also runs the archery programs at the MSU Demmer Center, a public shooting sports training facility with indoor/outdoor archer ranges, a 3D walking course, and indoor firearm ranges. Like West Michigan Archery Center, the Demmer Center was built thanks to major financial donations from the Easton Foundation and the DNR, he said. In addition to the MSU Archery Club, the facility serves as a training ground for a Junior Olympic program that attracts more than 160 area children. The Demmer Center's instructors try to empower all their students to pursue archery in whatever way makes them happiest, he said. "If they want to come in and just punch holes in paper, that's great," Bennett said. "If they want to bow hunt and get out to enjoy the outdoors, that's great too." Bennett describes East Lansing's Demmer Center as "one of the best training centers in the country, if not the world." The state-of-the-art center has attracted top archers to the Spartan team, too. "This year was MSU's first ranking that we've ever had," Bennett said. "We held the U.S. National Outdoor Collegiate Championships here at Michigan State. There were 37 schools competing here and MSU ranked third in the country. We've gone from relative obscurity to being on the forefront of collegiate archery." This year's National Outdoor Collegiate Champion was Emily Bee, president of MSU's Archery Club. The 20-year-old junior said archery was a family affair when she was growing up near Hartland, Michigan. She and her younger brother, Chris, who's also on MSU's Archery Team, grew up bow-hunting and shooting competitive archery. "I really fell in love with the sport when I shot my very first tournament," Emily Bee said. "Since then, I've competed at national and world events for the United States and Michigan State. I hold several junior, senior and collegiate titles. Although, when fall rolls around, I still manage to get out in the woods." Bee said she thinks bow hunting allows women and girls to be well rounded. "Archery and hunting teach you discipline and patience; two very important skills to have," she said. "It's also a passion you can share with anyone: your kids, husband, brother, sister, friends or family." Bee said she believes women have the potential to shoot just as well as men. "Because of the way our bodies naturally are, men have the ability to shoot higher poundage, making it easier to be a bit more accurate," she said. "But I don't look at that as a disadvantage. I know plenty of women with potential to shoot perfect scores and they do." "Because I grew up in the sport with a brother, we've been able to compete and practice side by side. There are plenty of days where I beat him, and plenty of days where he beats me." "Junior Olympic Archery Development is a great way for young girls to get involved and on the right track," she said. "Also, local pro shops can help set you up with the proper equipment and lessons."